How can we help haematological cancer survivors cope with the changes they experience as a result of their cancer? Haematological cancer often necessitates that individuals make significant lifestyle and behaviour changes to protect themselves against infections. It is essential that haematological cancer survivors receive the support and information they require to adjust to such changes. 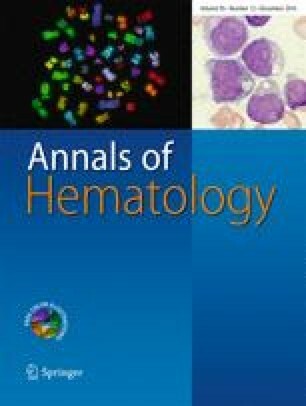 This cross-sectional survey of 259 haematological cancer survivors found that over two thirds of haematological cancer survivors would like to receive more detailed information or help with: diet and nutrition that takes into account their diagnosis and treatment, how to manage the symptoms from the cancer and/or treatment, signs and symptoms to be aware of that may indicate a possible infection and appropriate exercise. Over a third of survivors reported that they had to make changes to reduce their chance of infection, with social restriction the most commonly reported area of change survivors made. Improving communication and access to care and providing additional emotional support may assist survivors in making these additional changes. Healthcare providers should use this information to better support haematological cancer survivors in dealing with the effects haematological cancer has on their life. This grant No. 569290 was awarded through the Priority-driven Collaborative Cancer Research Scheme and co-funded by beyondblue and the Australian Government through Cancer Australia. It also received funding support from a Strategic Research Partnership Grant (CSR 11-02) from Cancer Council NSW to the Newcastle Cancer Control Collaborative (New-3C), and infrastructure funding from the University of Newcastle and Hunter Medical Research Institute. Flora Tzelepis was supported by a Leukaemia Foundation of Australia and Cure Cancer Australia Foundation Post-Doctoral Research Fellowship. Christine Paul is supported by an NHMRC Career Development Fellowship (APP1061335). Jamie Bryant is supported by an Australian Research Council Post-Doctoral Industry Fellowship. The authors are grateful for all the hard work and assistance of the registry staff, for multiple research personnel, including Ms. Sandra Dowley for data entry; Miss Hannah Small, Miss Lara Ryan, Mr Scott Stronach and Ms Natalie Dodd for assistance with data cleaning; and Ms Alessandra Bisquera for statistical support. The authors would also like to acknowledge the time and effort provided by the survivors who took part in this research; the authors greatly appreciate their involvement, as without their assistance this research would not be possible.